Ingredients: Malt barley vinegar, water, partially inverted sugar syrup, Scotch Malt Whisky (12%), soy sauce (water, soy beans, wheat, salt), sugar, lemon, garlic, spices. 4.8% ABV. Contains soya and wheat (gluten). Suitable for vegetarians. 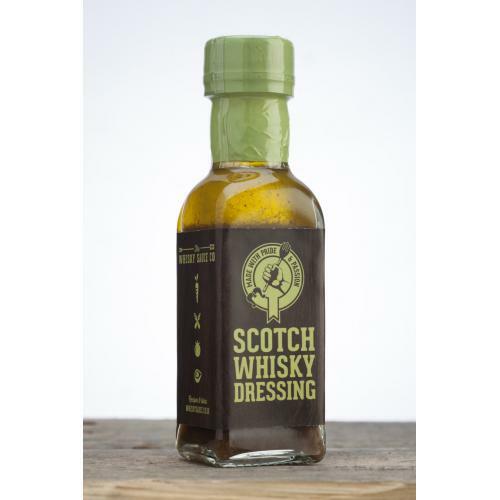 A dressing with a difference, use this to create an ideal starter or side dish that can be thrown together in 10 minutes, finish off with a drizzle of Scotch Whisky Dressing. 1)Dry roast the pin nuts in a frying pan until golden and set aside until the salad is mixed. 2) Cut the pepper into slices and cut the artichoke heartsinto quarters. Lightly spray the pepper, artichoke, and asparagus spears with oil and grill until brown. 3) Slice the sugar snap peas and small tomatoes in half. 4) Pit the olives and cut them, along with the sugar snap peas and small tomatoes, in half. 5) Mix all of the ingredients, except the salad leaves and pine nuts, in a serving bowl. 6) Just before the salad is to be served, mix in the salad leaves and sprinkle the roasted pine nuts on the top. 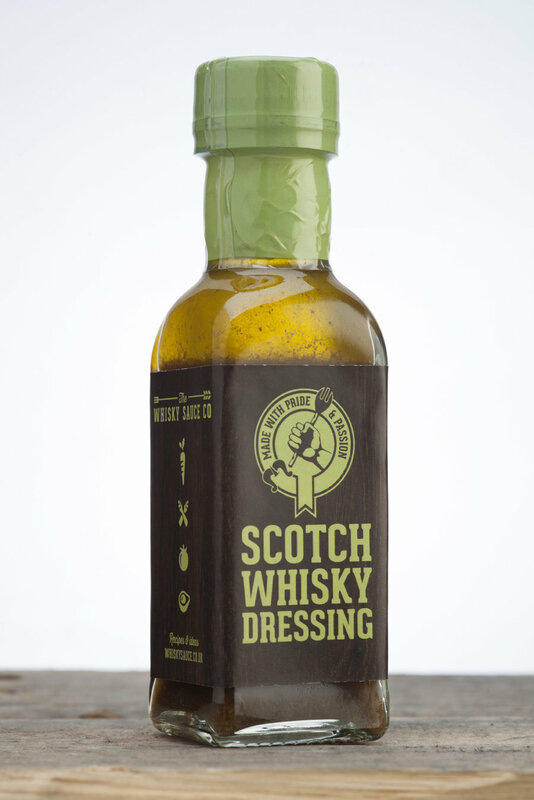 7) Finally, drizzle Scotch Whisky Dressing over the top before serving. A salad dressing that adds a whisky twist to salads and homemade dips.